Here are some facts about the Statue of Liberty. The Statue of Liberty is on Liberty Island in New York Harbor. 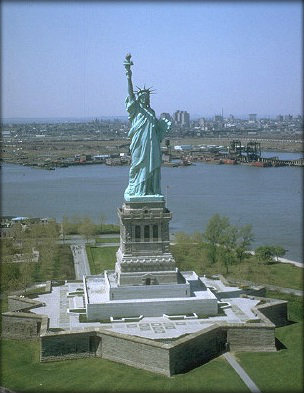 It has greeted millions of immigrants to the United States and is one of the most famous statues in the world. The statue was a gift from the people of France and represents the Roman goddess of freedom, Libertas. It was designed by Frederic Bartholdi, a French sculptor and was completed in 1886. The Statue of Liberty is just over 305 feet tall, and weighs 450,000 pounds. The face is just over 8 feet tall, and there are 154 steps to the top of the head. The statue has a shoe size of 879 (or 25 feet in length). The tablet in Lady Liberty’s left hand measures 23 by 13 feet and has the date of July 4th, 1776 inscribed on it, in Roman numerals. The statue was transported from France to the United States in 350 separate pieces, in over 200 crates. Once it had arrived, it took workers 4 months to put it together. 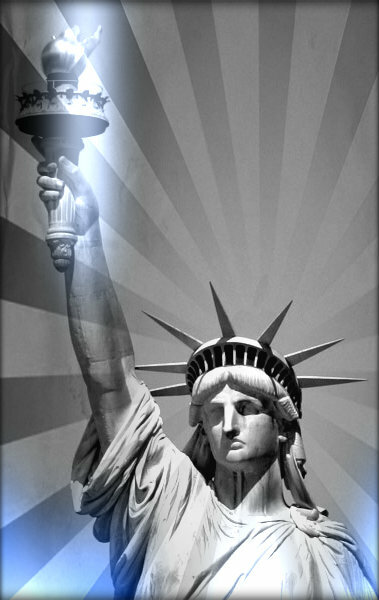 In 1886, President Cleveland ordered that the Statue of Liberty be used as a lighthouse. It was a lighthouse until 1902, and the electric lights could be seen from 24 miles away. The weight of the statue is carried by the metal framework, meaning that the copper covering is extremely thin. The copper sheets are thinner than two pennies. The steel structure was designed by Gustave Eiffel, who also designed the Eiffel Tower. The framework consists of 1350 iron bars, replaced by steel ones in 1986. Although Liberty Island is part of New York, it is actually closer to New Jersey. In the past, the island has been owned by the British and French, as well as the US. There are several other Statues of Liberty, including several in France and one at the New York, New York hotel in Las Vegas. One of the statues in Paris is positioned so that it faces the one in New York.